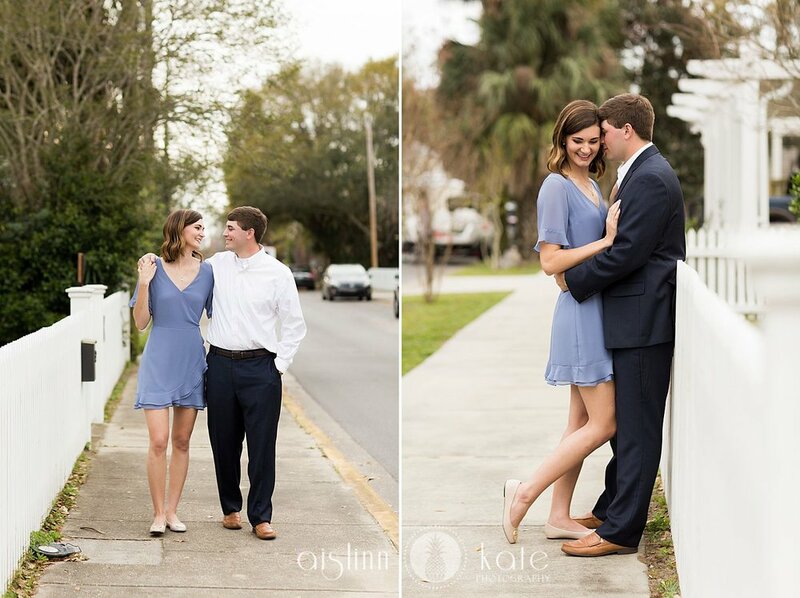 I LOVE early spring for portraits and Ashley + Drew's classic engagement session around our Downtown Pensacola studio is a perfect example of why! Everything begins to bloom, the temperature is still cool enough to be comfortable, but warm enough for dresses with flippy hems, and the light still has that soft winter quality. We spent a perfectly lovely afternoon wandering a few blocks in search of flowers and light, and generally had the best time getting to know each other before their big day. 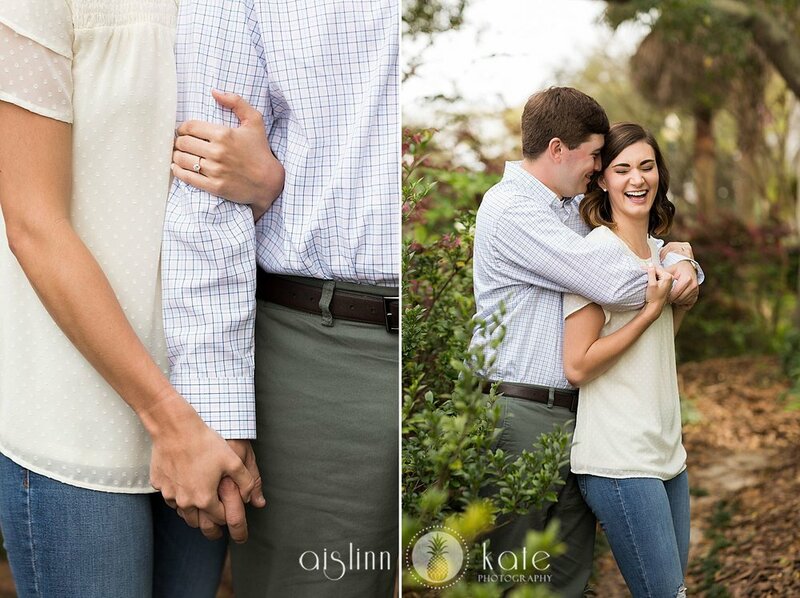 I am so excited for their spring wedding in Mobile next year! !